Young vet Rachel Goddard's life changes one day when a child's scream activates a long-forgotten memory from her own childhood. Fearing that nothing about her family is what it seems, Rachel begins a quest for answers. Quite an unusual and captivating book! 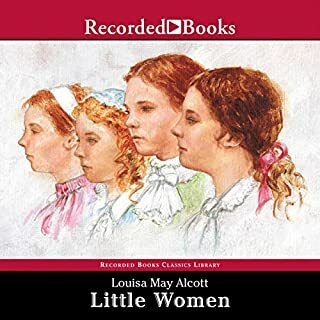 Today's price for this Audio Book is $3.95. For those who are interested in Whispersync For Voice, I recommend purchasing the Kindle version of this first for $0.99 and then the Audio Book is $2.99 for a total of $3.98 or only $0.03 more than the Audio Book alone. A young woman is found, brutally murdered and left on gruesome display in the "safety" of her own home. The atrocity kicks off an investigation into a bizarre string of increasingly disturbing murders, all believed to be perpetrated by someone of unprecedented savagery and cunning. 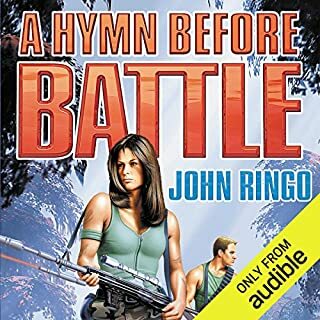 Today's price for this Audio Book is $3.95. For those who are interested in Whispersync For Voice, I recommend purchasing the Kindle version of this first for $2.99 and then the Audio Book is $1.99 for a total of $4.98 or only $1.03 more than the Audio Book alone. 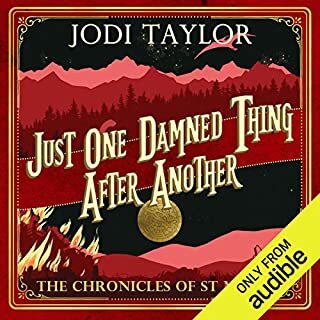 Why pay $4.95 for this Audiobook when the Kindle edition is $0.00 and after you "purchase" that book the Audible Audiobook is $2.99. Lands die. The living light fades. An ancient darkness awakens. The Living Light that sustains Arlethia is dwindling. An unknown, vicious enemy approaches in stealth from beyond the northern glaciers, a wasteland of ice that spans hundreds of miles. A clandestine brotherhood of assassins, held in check by the Light for millennia, seeks to break their maledictive shackles and unleash their bloodlust upon the world. 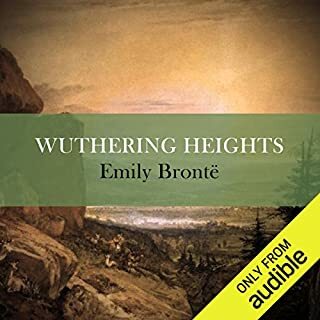 Today's price for this Audiobook is $5.95. For those who are interested in Whispersync For Voice, I recommend purchasing the Kindle version of this first for $4.99 and then the Audiobook is $1.99 for a total of $6.98 or only $1.03 more. Also the Kindle book has helpful illustrations. If these suggestions are beneficial please press YES below. 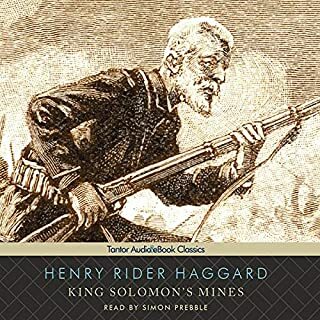 One of the bestselling novels of the 19th century, King Solomon's Mines has inspired dozens of adventure stories, including Edgar Rice Burroughs's Tarzan books and the Indiana Jones movies. Vivid and enormously action-packed, Henry Rider Haggard's tale of danger and discovery continues to shock and thrill, as it has since it was first presented to the public and heralded as "the most amazing book ever written." Why pay $3.95 for this Audiobook when the Kindle edition is $0.00 and after you "purchase" that book the Audible Audiobook is $0.99. Obviously this is not a review but I didn't know where else to post. 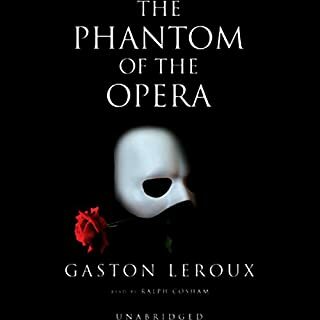 Why pay $3.95 for this "Audio Book Du Jour" when the kindle edition is $0.99 and after you purchase that book the Audible audiobook is $1.99. Obviously this is not a review but I didn't know where else to post. 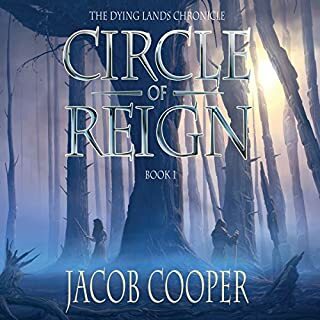 Why pay $2.95 for this "Audio Book Du Jour" when the kindle edition is $0.00 (Caution...there are multiple Kindle editions - make sure you select the right one) and after you "purchase" that book the Audible audiobook is $0.99. Obviously this is not a review but I didn't know where else to post. 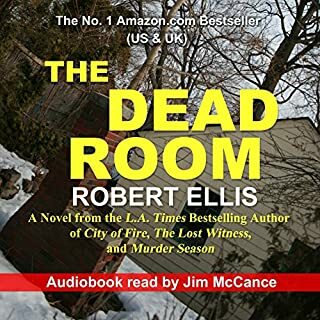 Why pay $5.95 for this "Audio Book Du Jour" when the kindle edition is $0.00 (Caution...there are multiple Kindle editions - make sure you select the right one) and after you "purchase" that book the Audible audiobook is $2.99. ***After purchasing the free Kindle book you actually have a choice of 4 different versions of the Audiobook at the $2.99 price. 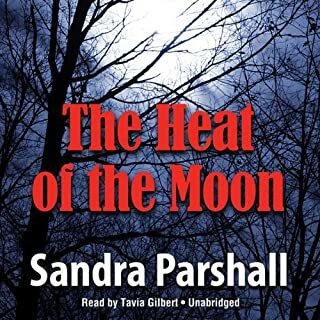 Narrated by Barbara Caruso, Flo Gibson, Lorelei King or Laural Merlington. Obviously this is not a review but I didn't know where else to post. 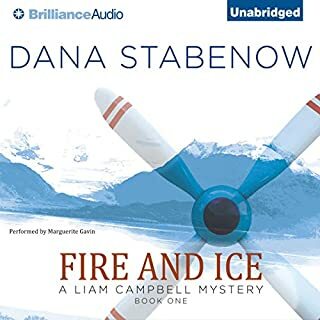 In this mystery series by Dana Stabenow, the Edgar Award-winning author returns to the Alaskan setting she's famous for, with a wonderful character - state trooper Liam Campbell. Liam's just been transferred from Anchorage to the small fishing village of Newenham, Alaska - where a local pilot seems to have lost his head. Why pay $3.95 for this "Book Du Jour" when the kindle edition is $0.00 and after you "purchase" that book the Audible audiobook is $1.99. Obviously this is not a review but I didn't know where else to post.